In the XVI century, Antwerp was at its peak. It was an essential seaport, belonging to a vast empire that covered not only a significant part of Europe, but the US territories. In Antwerp people sold English wool and cloth, silver and copper from Germany, wines from Spain, furs from Russia and Poland, sugar and spices from various colonies. Not only was the commerce developing, but also the monetary institutions. For example, the representative offices of Italian and German banking houses had opened. In the XVI century Antwerp’s life was marked with the industries’ heyday. Weaving companies, sugar factories, breweries and soap factories had opened. The city became the core of diamond processing. The increase in revenue helped merchants and entrepreneurs to realize the desire for luxury by purchasing the works of jewelers, painters, book printers and carpenters. In the XVI century Antwerp has become the world's largest city of commerce, shipping, international financial life and art. Its population in 1565 exceeded 100 thousand people, which were an incredible amount for that period. In 1542-1545 GG new strong fortifications grew around the city. The fight against "heresy" would have a negative impact on trade. Therefore, for a long time Antwerp demonstrated religious tolerance: Catholics and Protestants lived together in peace. In 1566, the local-Calvinist iconoclasts smashed the interiors of almost all Antwerp churches and burned a lot of unique works of art. In 1576 Spanish soldiers, who did not receive a salary raised in the Southern Netherlands revolt, accompanied by looting, arson and massacre, which killed about 7,000 people. After these atrocities in 1578, the city supported the uprising against the rule of Spain and ended up in the hands of the Calvinists. Once again, the churches lost the works of art. In 1585, thanks to a months-long siege, the Spaniards regained their power. Their enemies were forced to become Catholics or leave the city. At once people of the Netherlands, who continued the war with Spain, blocked Shelde mouth, and did not let the vessels to come to the port. These events have had an awful influence on the economy of the city. World Trade Center moved to more prosperous city of Amsterdam. 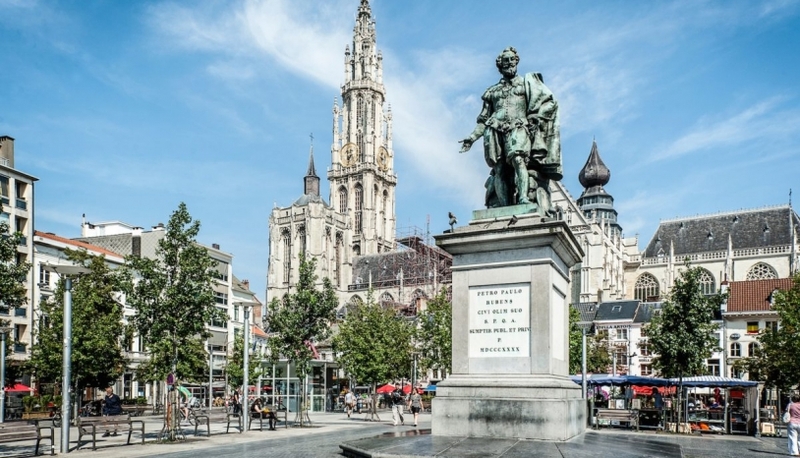 Antwerp could recover at the beginning of the XVII century. At this time the luxury goods became popular again: diamonds, wall hangings, carved furniture, lace, silk fabrics, books, musical instruments. Many religious buildings, which ordered paintings and sculptures, helped Antwerp to revive. It is surprising, but when money left Antwerp, a new period has started, called the Golden Age of art. At this time, world’s outstanding artists worked in the city: Peter Paul Rubens, Jacob Jordaens, Anton van Dyck, Frans Snyders, David Teniers the Younger, and many others. The Netherlands won the war for independence from Spain, while Antwerp ruled by their potential enemies. In 1713 Austria captured a piece of Netherlands. Several attempts to break the blockade at the mouth Shelde failed. 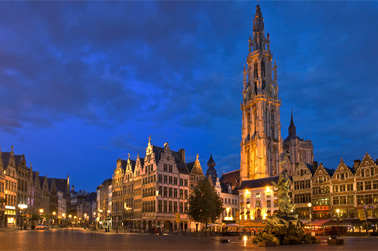 Antwerp lost its position in the global economy and become a provincial town.